Sigmundur Einarsson, a geologist at the Icelandic Institute of Natural History, has written some articles on this matter (in Icelandic). He has tried, amongst a number of other environmental scientists, to warn the Icelandic government about a new kind of collapse, an energy collapse due to following far too optimistic speculation of irresponsible people. Einarsson’s first article was named: Iceland’s great energy sources. After the Icelandic economic collapse in 2008 politicians have constantly claimed that the future strength of the country lies in its wealth of power stored within rivers and geothermal areas. Einarsson has pointed out that all available geothermal power in Iceland would not be enough to power two big aluminium smelters proposed at Helguvík in SW Iceland and at Bakki in NE Iceland. 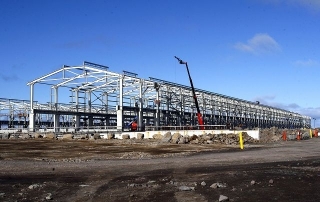 The only answer to Einarsson’s first article appeared in Century Aluminum´s homepage saying that about 1500 MW of energy is available from SW Iceland’s geothermal fields and rivers and that the Helguvík smelter needed only 625 MW. The company´s numbers on energy include all already harnessed geothermal fields along with highly optimistic numbers on areas not yet investigated. Einarsson who has long experience working on geothermal activity in Iceland answered with more arguments titled Century Aluminum´s dreams of energy . The following table from his article includes every geothermal field in SW Iceland. The following table shows the amount of technically exploitable power (TEP), already utilized power (AUP) and non-utilized power (NUP) in the geothermal fields of SW-Iceland. The numbers for TEP are Einarsson’s estimates and the numbers in brackets come from a paper by S. Björnsson, a geophysicist at the Icelandic Energy Authority. Reykjanes geothermal field A 100 MWe power station is already running in the area. The power company HS Orka has requested permission from the authorities (Icelandic Energy Authority) to the enlarge the station to 200 MWe. The permission has not been granted since the power company has not been able to proof further exploitation to be sustainable (showing that Einarsson’s estimate for TEP might even be too high). In 2006 HS Orka signed a contract with Century Aluminum about 150 MWe of energy for the Helguvík smelter, partly from this source. This delay is already under jurisdiction in Sweden, home country of Magma Sweden, the owners of HS Orka. Eldvörp/Svartsengi geothermal field Preparation for extended exploitation of the geothermal field has not started. The pressure within the reservoir has recently become steady after 28 years of constant draw down so increased exploitation is not likely to be allowed in the near future. Energy for the Helguvík smelter can not be expected from this source. Krýsuvík geothermal fields This geothermal area which consists of 4 subfields has never bee harnessed. HS Orka has license for research in the total area but has only made agreement for future production with the landowners of the two smaller Trölladyngja and Sandfell subfields. Two deep drill holes in Trölladyngja subfield have proved negative and research has not started in the other three subfields. Scientific views on power potential of the total area are controversial, partly due to lack of data. Energy from these fields seems unlikely. Brennisteinsfjöll geothermal field is quite small and lies in the mountains south of Reykjavík. This area is not likely to be harnessed in the future. Hengill geothermal field with the subfields Hellisheiði, Hverahlíð, Bitra, Nesjavellir lies SE of Reykjavík. The area has been harnessed by the power company OR, owned by the Reykjavík municipality. This power company almost vent bankrupt after Icelands financial collapse. The companies financial plans do not assume any new power stations in the next five years. 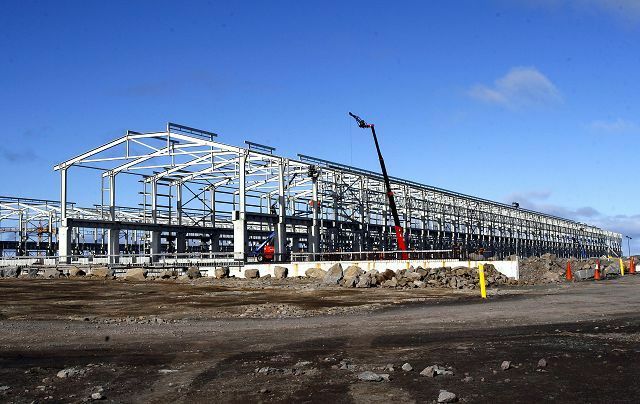 So energy for the Helguvík smelter from this source can hardly be expected until at least 8 years from now. OR has secured energy for one 90 MWe power station, but further plans have not been confirmed. The above mentioned potential origins of power for the aluminium smelter are specified in the EIA report and nothing else. Einarsson has in his articles repeatedly pointed out that it will never be possible to feed the smelter with energy from these geothermal areas. No answers have ever come from the authorities, neither local or governmental. The third power company, Landsvirkjun, has prepared three water power stations in the river Thjórsá (Þjórsá) in South Iceland, producing about 230 MW. Landsvirkjun has repeatedly argued that the electricity from these power stations will not go to aluminium smelters. Other power potentials are not in sight in southern Iceland.